The Honda Clarity made its very first debut in Canada last week, appearing on Parliament Hill in Ottawa on June 7th, 2017. The car made a stop at a Ride-N-Drive in the capital city, which was in collaboration with The Canadian Hydrogen Fuel-Cell Electric Vehicle (FCEV) Coalition of automakers. The Clarity making its debut in Ottawa was done to offer federal government officials the chance to take the Clarity for a spin and see first-hand how Honda’s fuel-cell technology can contribute toward our company’s main goal of a carbon-free society. The Clarity was shown to federal and municipal government officials in Ottawa. These officials included the Honourable Navdeep Bains, Minister of Innovation, Science and Economic Development, as well as the Honourable Bardish Chagger, Leader of the Government in the House of Commons and Minister of Small Business and Tourism. The Ottawa Mayor Jim Watson was also in attendance. These officials learned about Honda’s advanced hydrogen technology for the day, and Honda’s goals to introduce more hydrogen technology over years. Those in attendance of this event were among the first to get behind the wheel of the Honda Clarity in Canada. 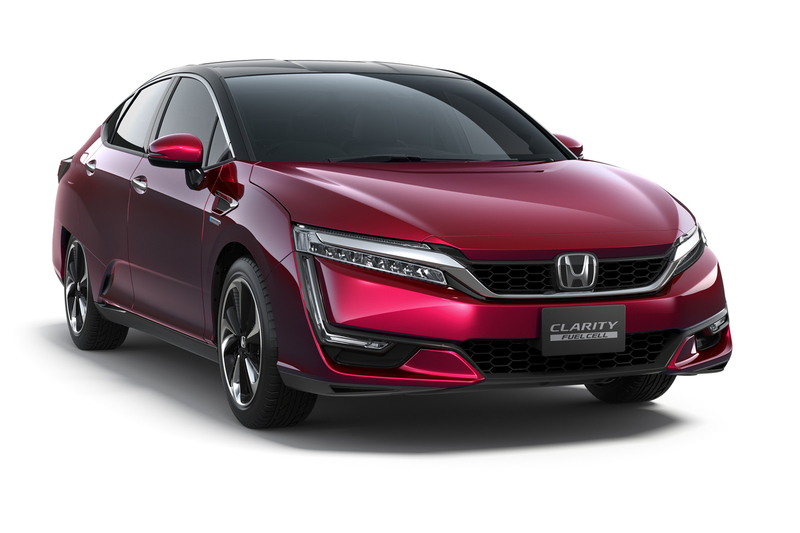 The introduction of the Honda Clarity Fuel Cell is a representation of what Honda hopes that all cars will eventually work toward: zero emissions vehicles. Being powered by hydrogen, the Clarity boasts impressive fuel economy, quick refills, and completely zero emissions, making it incredibly eco-friendly. This technology was showcased to government officials to show that Honda’s tech has enough capability to justify increased investment and spending into further development, research, and broader infrastructure for the collective goal of a zero emission, carbon-free Canada. The Canadian government announced greenhouse gas emission reduction targets, which Honda aims to aid in meeting. Honda Canada Inc. knows that in order to meet these targets, using conventional energy sources (like fossil fuels) just aren’t sustainable any longer. With more resources put into this fuel cell technology, Hydrogen-powered vehicles will likely become a key player in reducing greenhouse gas emissions to meet the targets set out. Anyone looking to help play their part and lower their carbon footprint, come talk to us at Henley Honda! We’re thrilled about the new model and Honda Canada’s attempts to help lower Canadian emissions, and we’d be happy to help you drive away with a zero emission 2018 Honda Clarity.